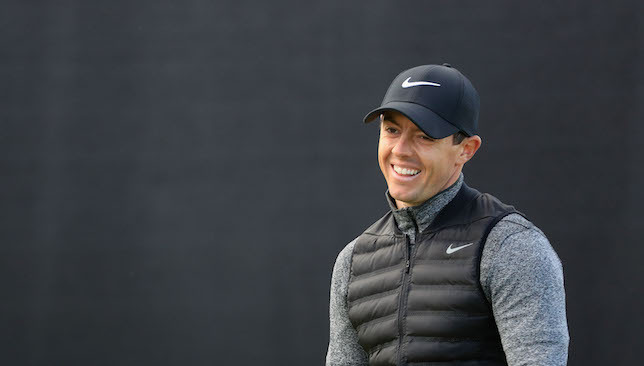 Whether it was an afterthought or a blatant attempt to prove a point, the three words uttered by Rory McIlroy in a press conference on Tuesday – ‘stuff that matters’ – potentially wrecked thousands of hours of hard work and perseverance by men and women infinitely wiser than him. We get it that he doesn’t want to go to Rio for the Olympics. But to say he is going to watch the ‘stuff that matters’ and not golf from Brazil was a step too far for someone who is viewed as the heir apparent to Tiger Woods as the man likely to lead the sport to a new level. Instead, he could have inflicted a hammer blow with a comment which showed a surprising lack of maturity. McIlroy’s brutal honesty has been one of his endearing qualities, but this didn’t come across as him just calling a spade a spade. Either he didn’t really mean what he said during the press conference or perhaps he was being economical with the truth the day he withdrew from the Games, citing concerns about the Zika virus. Listening to the Northern Irishman on Tuesday, he gave the distinct impression tht he just did not agree with golf being part of the Olympics. Perhaps that then, and not Zika, was the real reason he pulled out. If this is what he thought all along, he could have made his feelings known to the In- ternational Golf Federation a long time ago. He could have done what Adam Scott did and not embarrass them in the manner he has done. Legends of the game like Arnold Palmer, Jack Nicklaus, Gary Player, Annika Sorenstam, Tiger Woods, Padraig Harrington and respected administrators like Peter Dawson and Ty Votaw, and millions of golfers in countries as far-flung as China, India and Argentina have dreamt of golf in the Olympics for a reason. It really is one of the greatest opportunities to grow the sport. Either he got up from the wrong side of the bed, or he took exception to something that the IGF members said the day before, but McIlroy almost seemed intent on ensuring that 2016 will be the last time golf is part of the five-ringed sporting extravaganza. McIlroy’s comment is also extremely disrespectful to 120 of his colleagues, who have shown far greater courage and gumption than him to commit to the Games and travel despite the danger. The four-time major champion has opened his mouth without engaging his brain before, and regretted it at a later date. Remember his famous comments about the Ryder Cup being nothing more than exhibition matches? Well, he quickly changed his opinion after playing the tournament in 2010. Hopefully, McIlroy will do something similar after giving Olympic golf a chance. Perhaps he should experience that incredible feeling of walking under the national flag during the march past before turning his back on the Olympics. McIlroy was also wrong to say he got into the game to win golf tournaments, not grow the game. While he may have worked the hardest to achieve all the success, there are many people and factors play small but significant roles in the whole process. Sport360 looks at the key contenders as well as dark horses. 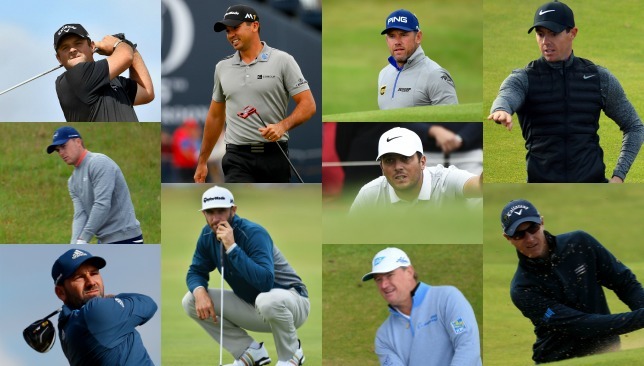 Here’s our rundown of the key names who we think have a strong case for winning this year’s Open. Do you agree with our choices? Have your say and let us know, use #360fans on social media. The Australian did not have the best of records in the Open before finishing just one shot outside the play-offs last year. St Andrews really was the starting point of his remarkable run and he will be eager to show the world he can win on links courses too. The American is enjoying the form of his life. His long-hitting takes most hazards on the golf course out of play, and he also possesses remarkable touch on and around the green. There really is no reason why he can’t make it three wins in three starts. World No1 will be the bonus if he does. Top-10s in 2016: Seven; Starts in 2016: Given his phenomenal short game skills, on any golf course. He is also leading the making 4.56 of them per round. The Northern Irishman was gutted last year when he was unable to defend his title at St Andrews because of the freak ankle injury. He spoke of getting into some bad habits with his swing during the Open de France, but finished third there and 10 days of practice would have helped further. After Johnson won at Oakmont, it would somehow be fitting if Garcia could also shed the unwanted ‘best player not to have won a major’ tag at Troon. Nine of his 20 top-10 major finishes have come in the Open, including second in 2014. Garcia is enjoying some very good form right now. The South African may have had four missed cuts before the Quicken Loans National, but at Congressional, he was the best putter in the field. A force on links courses, his game is turning around. There are distinct signs that the Belgian Bomber is slowly getting back to the form that earned him a Ryder Cup debut in 2012. Brilliant finish at Scottish Open means the momentum is with him. Recent form (last five starts): T11-T32-T8-Top-10s in 2016: Three; Starts in 2016: In contention both at the Masters and the this year, the Englishman is showing he force. At peace with his personal life now, game is slowly getting back at its best. Throw the American a challenge and he is always eager to grab it. Played superbly over the weekend at the Scottish Open and then spoke of his delight on qualifying for Olympics. He is enjoying his golf. The younger Molinari enjoyed two fantastic weeks at Congressional and then at Open de France. He enjoys a huge advantage over others with his deadly accuracy off the tee, which will help at Troon. Sono molto dispiaciuto di annunciare che ho deciso di rinunciare alle Olimpiadi di Rio a causa di motivi familiari. Non avrei mai voluto mancare al ritorno del golf alle Olimpiadi, ma sono sicuro che Matteo terrà alti i colori italiani al mio posto Unfortunately I have decided to withdraw from the Italian Olympic team due to family reasons. I am very disappointed to miss out on golf's return to the Olympics however, I am confident that Matteo will do a fantastic job in my place. Ahead of The Open Championship which gets underway on Thursday, Sport360’s Joy Chakravarty shares his predictions and player to watch at Royal Troon. Have your say by using #360Fans on Twitter or Facebook.